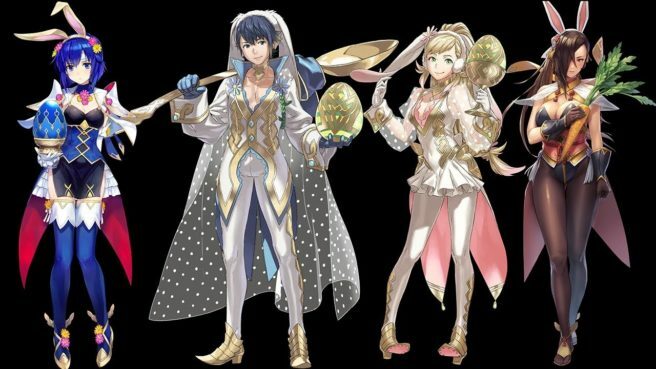 Hares at the Fair, last year’s Easter-themed special Summoning Focus, has returned to Fire Emblem Heroes. Until April 21, you once again have the chance to summon these special versions of Sharena, Alfonse, Kagero and Catria. Sharena, Alfonse and Catria will also be among the bonus units for the upcoming Tempest Trials+ event. “To Defy the Gods” will last from March 23 until April 2. The big rewards are a 5-star Loki: Spring Tricks and two seals, Warding Stance 1 and Spd/Red Bond 1. Finally, it’s Thursday, which means that a new map has been added to Tactics Drills. “Sound of an Argent Arrow” can be found in the Skill Studies section; you get 300 feathers for clearing it.